Moms have hundreds of parenting advice books willing to tackle the more cringe-inducing questions of parenthood. But what about books for the other half of the equation: the dads? Man vs. Child is a funny, fresh take on the parenting guide, written from the dad's perspective. Author and popular Upright Citizens Brigade performer Doug Moe knows first-time fathers are as worried about being terrible at their new terrifying jobs as new moms are. But while most modern fathering guides center on men's oafish parental failings, Man vs. Child forgoes condescension in favor of fresh and irreverent wit. This guide for first-time dads tackles funny but important questions, like how to be a good dad without becoming a BabyBj?rn-wearing tool in the process, or what to do if your child loves your iPad more than they love you. From caring for a newborn to dealing with a kid on the verge of adolescence, author Doug Moe breaks fatherhood down into survival lessons like "Time to Decide About God" and quizzes that ask dads to reflect on hilarious parenting questions like "Is My Child Too Annoying for This Restaurant?" Man v Toddler: Does Your Toddler Want to Kill You? Now That My Kid Doesn't Need Me, What Is My Life Worth? 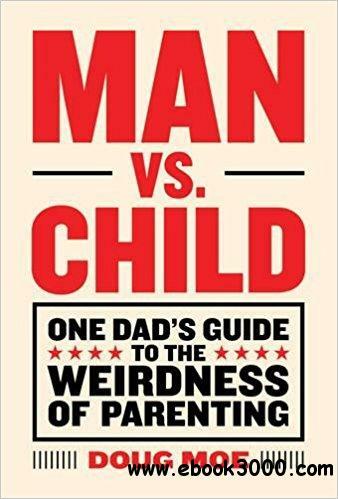 Balancing relatable humor with heartfelt advice, Man vs. Child will appeal to any dad looking for both laughs and real guidance from a man who has had-and survived-these experiences himself. A perfect Father's Day gift or present for a first-time dad! You Must Be My Best Friend . . . Because I Hate You!